Protect your Fox Mustang T-Tops with these 79-88 Mustang T-Top Storage Bags for convenient easy storage! Is it time to take off your T-Tops and take your 1979-1988 Mustang for a spin? Worried about damaging your T-Tops? Don't be! 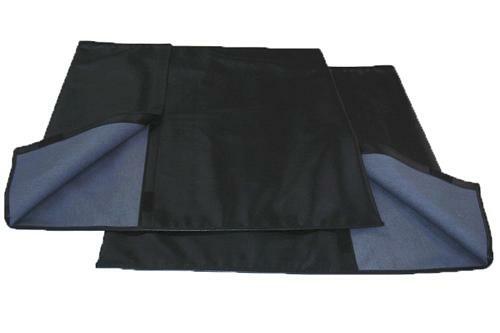 These 79-88 T-Top bags will keep your 1979-1988 Ford Mustang's T-Top panels protected when they aren't on your Mustang. They have a black vinyl outer cover and have a soft cloth interior for scratch free storage! Sold in pairs. Grab a set today from Late Model Restoration!